Hopefully you are reading this and can see pictures, wordpress is give me major issues tonight! 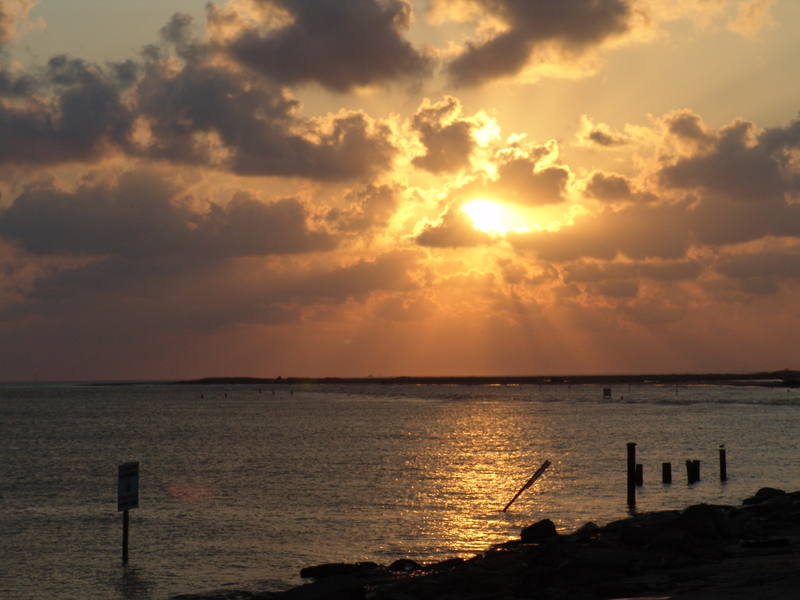 The past month has been full of vacation and travel and trying lots of new foods on vacation. When I got back from the beach earlier this week there was a box waiting for me! It was my first Foodie PalPal box, that’s right, packages full of local foods popped up at doors across the country to give other bloggers and readers a taste of a different area of the country. Wisconsin Natural Acres Honey. 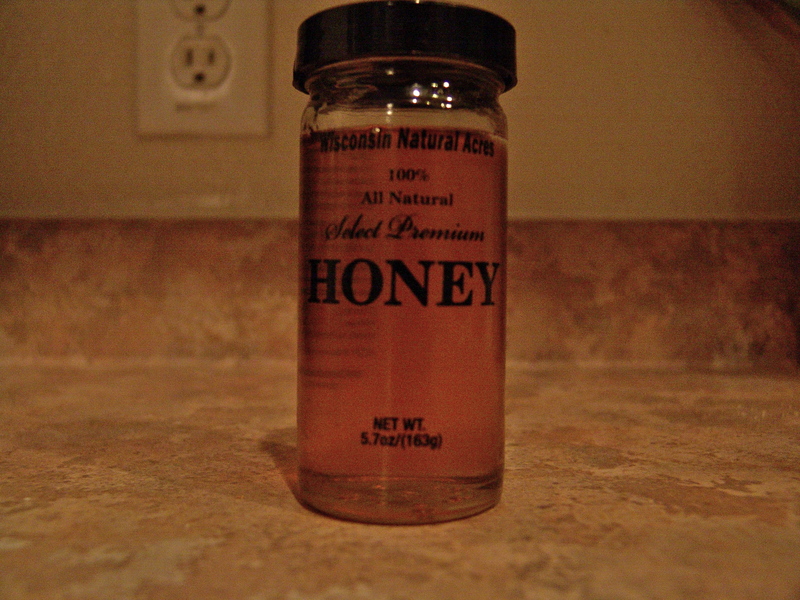 How can you go wrong with natural local, unfiltered honey?! 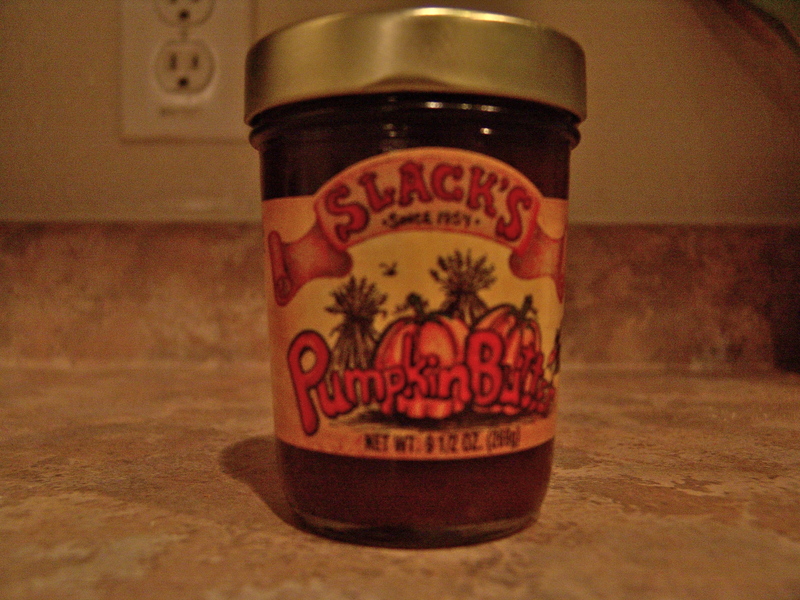 Slack’s Pumpkin Butter! I’ve eaten this on toaster waffles for breakfast almost every morning this week. ItIs.Good. Also had some stirred into yogurt with a little granola (another item in the package) for a late night snack. This recipe on the top of the jar really got my attention, if I can stop eating it on waffles and off a spoon I might just have to try it! 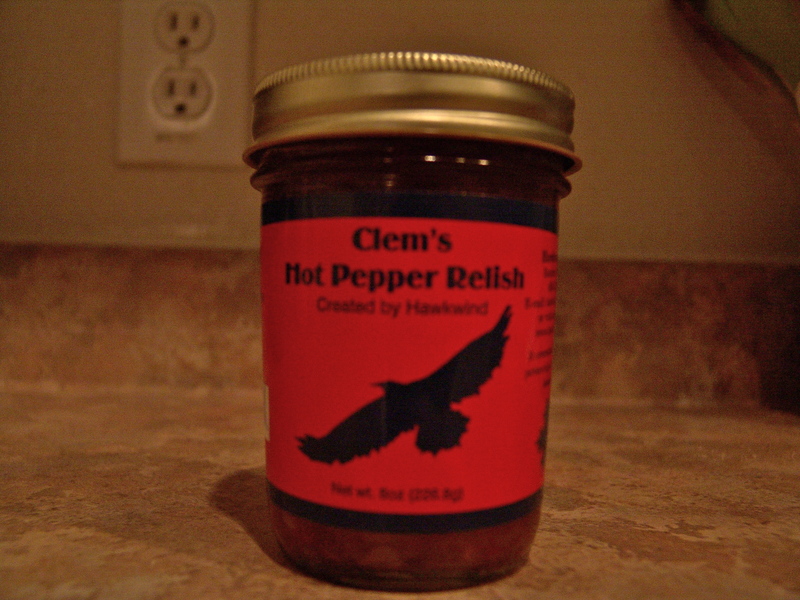 Clem’s Hot Pepper Relish. I love the short ingredient list on this; “Peppers, onions, vinegar, sugar, salt, spices.” I had a couple bites straight from the jar, but haven’t eaten it with a meal yet. I’m thinking it will be great with some black bean tacos, or maybe even potato and egg breakfast tacos. 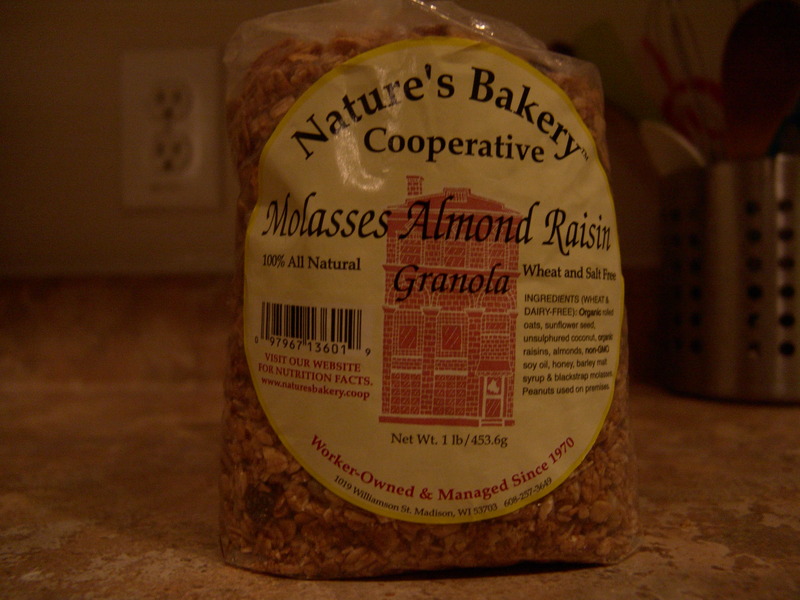 Molasses Almond Raisin granola from Nature’s Bakery Cooperative. Who doesn’t like granola, right? Thanks Sarah! I love it all!! 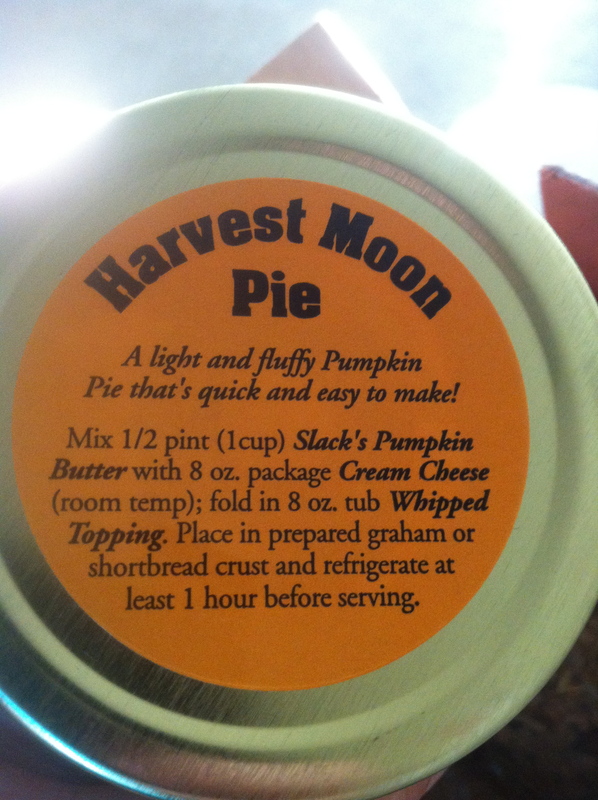 Soooo.. now you want in on the Foodie PenPal fun too? It’s not too late to sign-up to participate in October, email Lindsay by October 4th!! Thanks so much to Lindsey and Allie for organizing all of the fun, can’t wait for next month! Check out Diana’s post to see what I sent her!